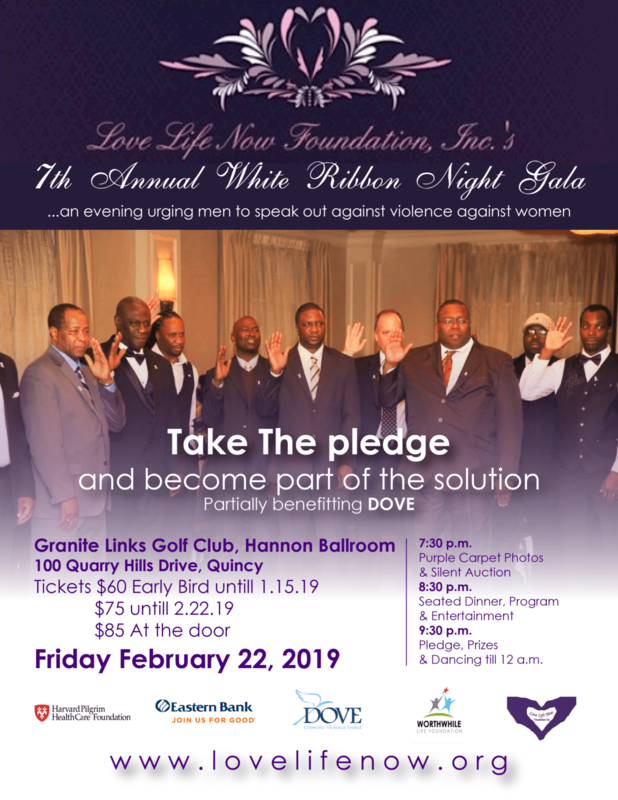 White Ribbon Night Gala – Love Life Now Foundation, Inc. Created by a handful of Canadian men in 1991 on the second anniversary of one man’s massacre of 14 women in Montreal, the White Ribbon Campaign began as a way to urge men to speak out against violence against women. This annual Gala urges more men to speak up and out against it, educates men about how they can be part of the solution in ending the violence against women and children and raises funds for a local shelter. Take a look at highlights from a previous Gala HERE.